AstraZeneca is a global, science-led biopharmaceutical company that focuses on the discovery, development and commercialization of prescription medicines, having 21 brands for the treatment of diseases in different therapeutic areas like Respiratory, Gastroenterology, Cardiovascular, Diabetes and Oncology. AZ is living a total transformation worldwide through a science-led innovation strategy. You'll lead the integration of all sales and marketing activities with the utilization of multiple sources into the assigned area. Self-motivated, hard worker, team player with innovative skills. 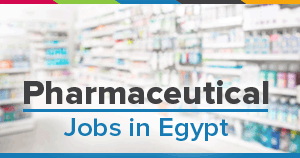 Medical Sales Representative (Outdoor) -..
Medical Representative (Orthomedics) - P..
Medical Representative (Orthomedics) - I..